The boat that will take us all the way around this globe is a Beneteau Lagoon 380 S2. 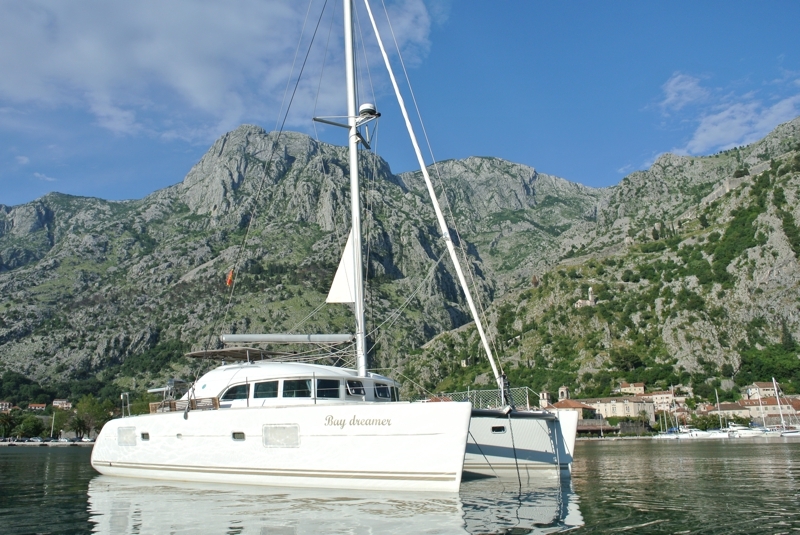 The Lagoon is a serial made catamaran that is being used a lot by charter companies all around the world. As a boat the Lagoon 380 is a safe, comfortable and not the slowest boat on the sea (not the fastest either). The Lagoon 380 offers a lot of space for its modest 38 feet. With 4 separate rooms and 2 toilets + a big saloon and a huge cockpit with space for up to 8 people this boat feels more like a 50 feet boat than it´s actual 38. We where looking for a boat that could give us the big adventure but also in the same time work as a comfortable home for a long period of time. My earlier sailing experiences has been on a catamaran so the choice of boat was pretty simple. And if you ask Anna the best thing about catamarans is that they are more balanced than monohulls. We equipped our new friend “Bay Dreamer” with all the necessary and unnecessary gears and gadgets you need to travel the big blue oceans for a couple of years.